Prof. Barrett joins the University School of Law faculty to supervise the Environmental Law Clinic. Prof. Barrett, a graduate of Loyola College (Baltimore) and the University of Maryland School of Law, most recently was in private practice at Blank Rome, LLP in Washington, D.C. While at Blank Rome, and before that while at Dyer Ellis and Joseph, PC, Prof. Barrett chaired the White Collar, Internal and Government Investigations Group. In addition to litigating complex criminal and civil environmental cases, she also conducted many corporate internal investigations, and advised clients on the implementation of corporate compliance programs and the effective use of audits and federal and state environmental self-disclosure programs. Previously Prof. Barrett was an Assistant United States Attorney for the District of Maryland where she tried numerous criminal cases, including several key environmental criminal cases. She was also Chief, Environmental Litigation and supervised environmental litigation within the District of Maryland and worked with various state and county Environmental Crimes Task Forces within the State. Prior to joining the United States Attorney's Office, Prof. Barrett was an Attorney General for the State of Maryland for the Hazardous Waste Strike Force/Environmental Crimes Unit and an attorney with the U.S. Environmental Protection Agency. 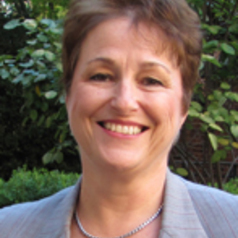 Prof. Barrett is the author of numerous articles in the areas of her expertise and has served in leadership and other positions in professional organizations.